Because it is so slender and dainty this may be is difficult plant to find when it grows by singly, but when it grows in masses, as it commonly does, it is vrey obvious. Its stem is light tan to maroon and its lobed basal rosette of leaves and its flowers are small. 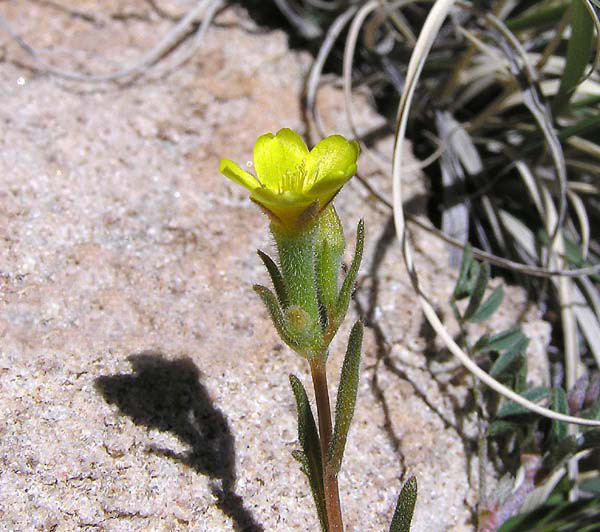 Flowers appear at first to have pointed petals but eventually fully open to distinctive, tubular flowers with lobed petals. Flower stems frequently nod. Plants grow to about a foot tall.